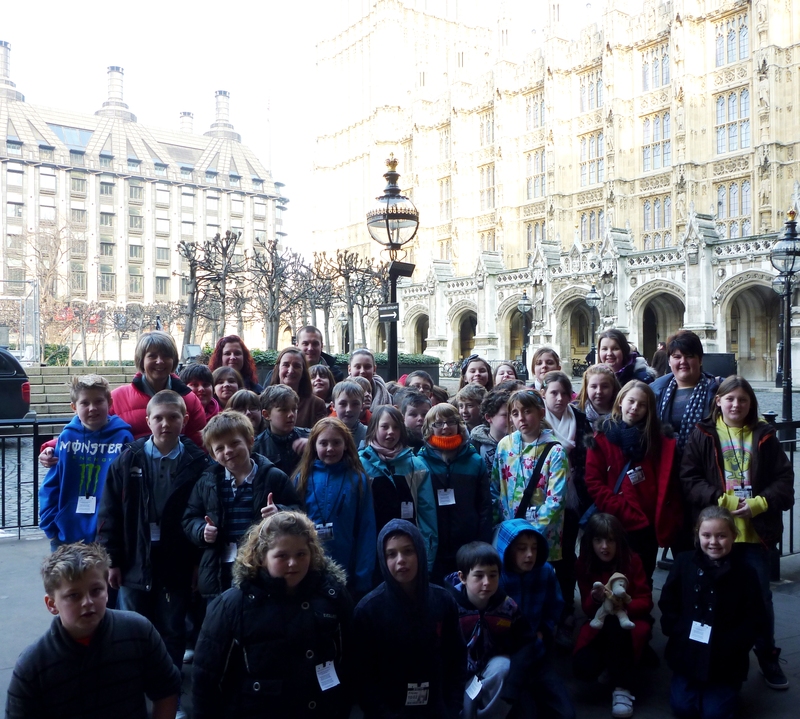 Pupils and Staff from Trimsaran School at Parliament. Pupils and teachers from Trimsaran School have recently enjoyed a tour around parliament, having a chance to go into both the House of Lords, where they saw where the Queen sits for the State Opening of Parliament, and the House of Commons, where they could actually stand in the very places where the Prime Minister and Ed Miliband, the leader of the Opposition stand when they are speaking. 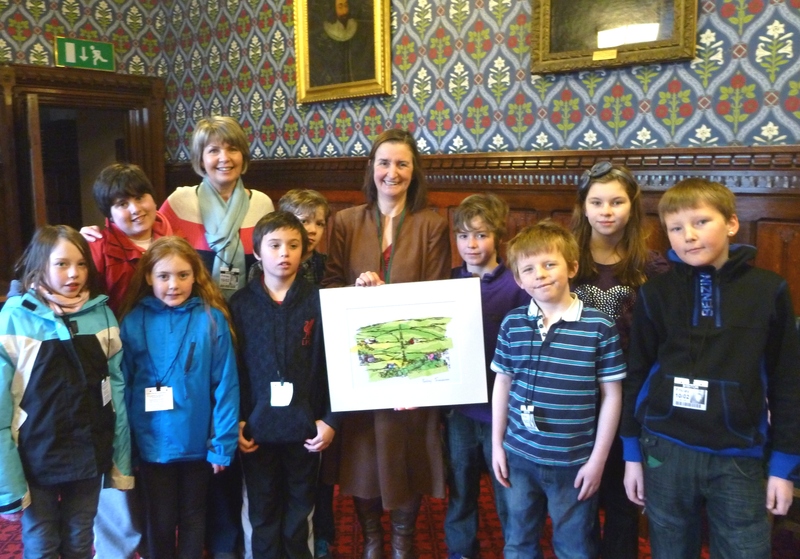 Trimsaran School Pupils giving Nia a picture of the Gwendraeth Valley that they had made themselves.